What is so funny about Peace, Love and the Conference? Promotion is almost always splendid fun. It is after all what league football is about coming out on top. And enjoying the moment. There were indeed many moments to enjoy. The win against all the odds at Exeter. Comebacks against Grays and Accrington from two goals down. Finally sorting Burton out. Proving to the nation that we were a better side than ugly Stevenage. Those last few minutes against Morecambe. Guy Ipoua and his Play-Off goals. The calmness of Tam and sheer class. The exciting talents of young Willo. The intelligence of Lisa Stansfield. The celebrations at Leicester. Our first promotion since 1976 deserved celebrations. But come on, talk about biting the hand that feeds you. The Conference is a decent League and one that improves year on year. I am so disappointed that in some quarters that in their eagerness to shout their triumph, some people have felt the need to rubbish the Conference. Yes, its small scale. Yes, some of the play is not the best but come on, the Fourth Division is hardly the big time either. In a world where biggest is obscene consumerism, small is good. Small is friendly, affordable, cosy and the soul of football. It is real. My favourite living footballer Bob Taylor recently praised the Conference. Now SuperBob has played at the top level and frankly much of the audience didn't want about Non-league but he told them anyway. About how part-timers could give their all and then join the supporters in the bar for a pint. How Tamworth charge only £9 on the terraces. How their gates were growing (he was gilding the lily by this point), swelled by the disillusioned ranks of supporters of big clubs. I am so with Bob on this one. Colin Addison addressed a gathering of Kidderminster based West Brom supporters in May and also tried to get over the message that there is life outside the top four Divisions. How the standard of play is rising all the time and its football at a simple pleasure level. Colin helps Radio Wales as an expert summariser but enjoys Conference football just as much as the Second and Third Division - or whatever it's called this year. Again, he was far from talking to the converted, this audience wanted to hear tales about Laurie Cunningham, Cyrille Regis, Bryan Robson, John Trewick etc. A more positive way of examining our promotion is not where we have come from but where we're going to. It is a novelty, uncharted waters, new places and new challenges. There are some bizarre venues in the Fourth. On Saturday, for instance, County have this enormous stand behind one goal. Yes, it looks splendid but where are the people to fill it? The entire crowd will fit in the Cheadle End on Saturday with seats to spare. Empty seats will be a familiar theme this season - particularly for those clubs bottoming out in the basement Division. Wrexham, Walsall, Lincoln, Swindon, Notts County - row upon row of empty plastic. None more so than Darlington. You really must see this monumental folly with its 27,000 capacity - and hardly anybody in it. Being out of town doesn't help - a problem too for Wycombe (neat ground but so obscure) and the abominable franchise. If there is one club that Hereford must put one over, it is that plastic act of Satanism in concrete cattle city. But bear in mind, our days of being the Manchester United of the Non-League are over. 'We are Football League.' Indeed we are, but no-one is going to be too impressed by that cry. This is a rough, hard League. Most everybody has a Redmile. Most everybody has an Aaron McClean. Mean, ugly honchos are everywhere - and that's just the stewards. It is going to be so hard and often unsightly to watch. After a few months of this, Conference football might just become very appealing. But remember another chant that was doing the rounds 'I am Hereford 'til I die'? You'd better genuinely believe it. Stick with them when the going becomes hard because we're the best hope that this football club has got. We're small and we're proud of it. "Rushden and Diamonds Football Club are pleased to announce that an agreement acceptable to all parties has been signed with Hereford United concerning the transfer of defender Phil Gulliver. "Phil has now returned to Hereford and all at Rushden and Diamonds wish him the very best with his future career." There is no word on what fee, if any, is involved. Hereford United have confirmed the signing of Trent McClenahan this afternoon. McClenahan played for part of the pre-season friendly against Cheltenham last Saturday. For more on McClenahan see last Saturday's Bulls News. Richard Teesdale is expected to join Telford. The former Hereford United defender was thought to be about to join Redditch but has had second thoughts. He played for Telford last Saturday in a friendly. Teesdale has had several clubs since leaving Edgar Street including a spell at Hednesford where he linked up with another former Bull, Ian Wright. 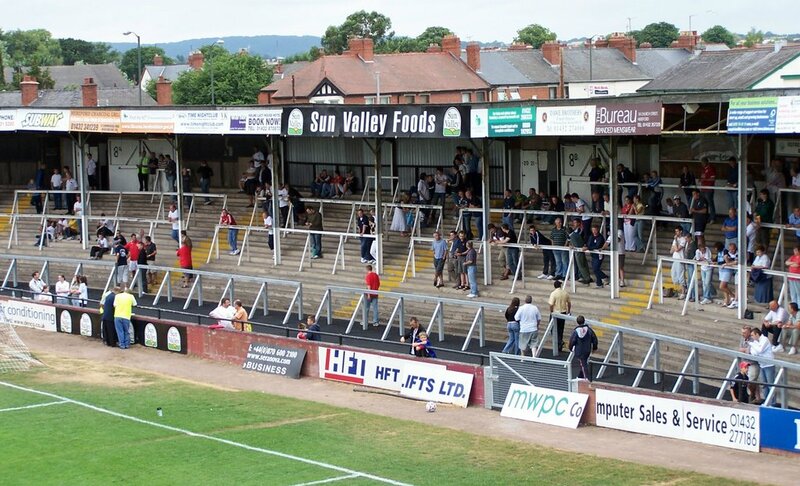 Next Saturday, August 5th 2006, Hereford United return to the Football League with their first game at Edgeley Park, the home of Stockport County. 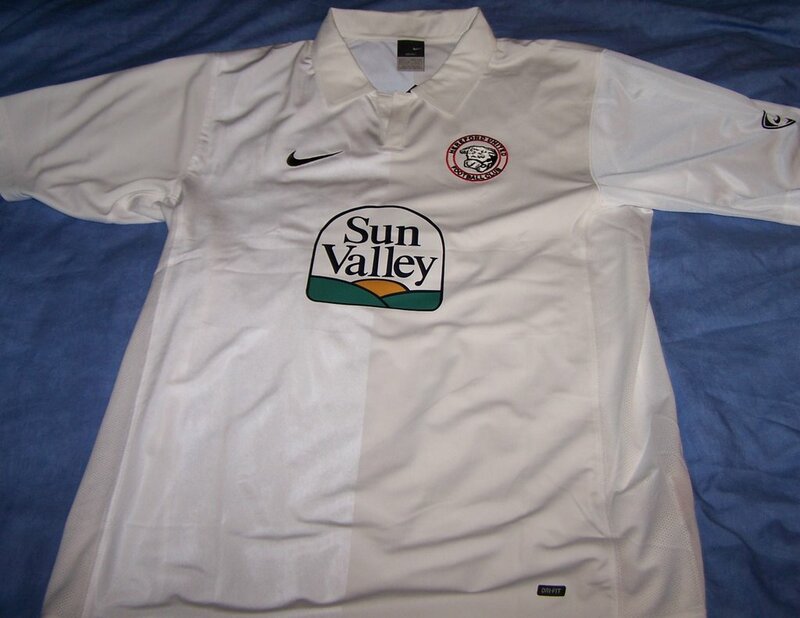 It was on May 3rd 1997 that the Bulls were doomed to Conference football after failing to defeat Brighton at Edgar Street in the last game of that season. It was only when the final whistle blew that reality hit home like a bullet. United had been banished from the Football League. For a few minutes most fans stood motionless, panic eating away at their insides. Then the tears swelled and trickled down faces, glistening in the sunshine. some supporters somehow made their way onto the pitch where they collapsed on to their knees overwhelmed with grief. Others placed comforting arms around the Hereford players who had also slumped to the ground. Scenes of desolation and total despair. 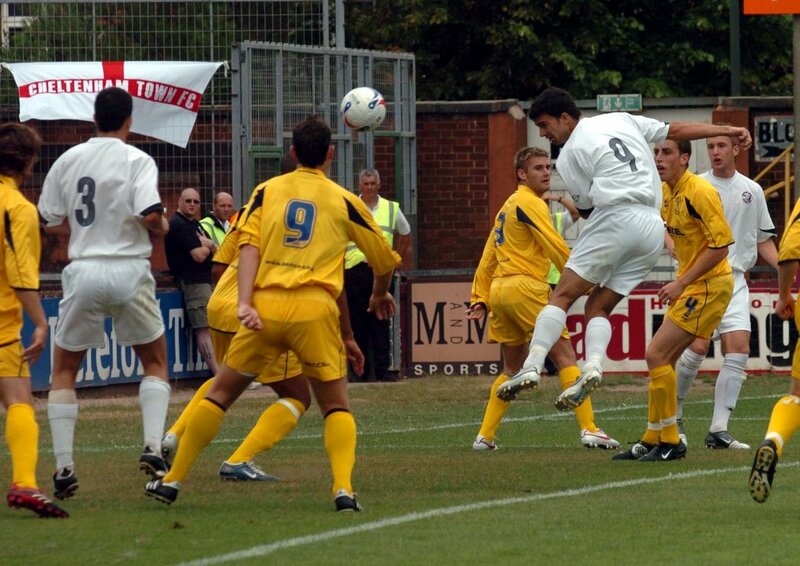 Fast forward to Saturday 20th May 2006 and the play-off final at the Walkers Stadium at Leicester. It was 120 minutes before the Hereford knew for certain they would be playing League football again. Glynis Wright said it all in her report of the game. Finally, after nine miserable years out of it, The Bulls were back in the League. A nice circular end to their exile, having witnessed them lose their League status to Brighton all those campaigns ago - but all that forgotten as rapidly-rising rockets signified The Bulls' final acceptance of that precious Conference play-off trophy. Then the celebrations after that, during which I have a vision of the lad Ipoua grabbing a multi-coloured flag from one of his admirers, then proceeding to do an improvised hula-hula dance with it fastened firmly around his waist! And, watching everything from afar - after all, it was the players' party, not his - there was Tucka Trewick, an enigmatic smile on his tanned face and applauding his players' efforts from time to time. What a satisfactory outcome for him, too, not to mention Graham Turner, whose faith in the side had finally borne fruit. A quick couple of celebratory drinks in a nearby pub, and it was back home for us - but not before we'd listened to the numerous discordant honks emanating from drivers of Bull-ish vehicles as they quit Leicester for good. As Neil Diamond once put it, "A Beautiful Noise", and one achieved in spite of much heartbreak, doubt and anguish from the Edgar Street persuasion. For most of us mere supporters next Saturday cannot come soon enough. One particular person who has waited for this day is Graham Turner. He said when Hereford were relegated he would stay with the club and get them promoted. He has stuck to his word. There must have been times when he wondered if it would ever happen. But it has and if anyone deserves a cheer on Saturday it's Turner. No one knows how well Hereford will do this season. Some fans are hopeful of a play-off position, some will be happy with a mid-table place and others will just hope Hereford finish above the relegation zone. That is for the future, the present is Stockport on Saturday. There will be strong support for Turners young team. There will be a lot of emotion, even perhaps a few tears shed, as the Bulls take to the field. Some supporters will never have seen Hereford in a League game. Others will remember the first time Hereford played in the League (Division Four in those days) away at Colchester on August 12 1972 which they lost 1-0. Young and old, recent convert to Hereford or a regular for years, lets show the footballing world on Saturday that Hereford United are back in the league and here to stay. Bristol City thumped Shrewsbury 4-0 in their final pre-season friendly - with the same starting line up that struggled against the Bulls a week before. Manager Gary Peters was quick to acknowledge Bristol City's strength: "We weren't good enough and Bristol City were superb, you have to look at the result and put it down to how good they were and not how bad we were. We did make a few mistakes but Bristol made us do that, their movement meant they pulled us here and there and the movement from midfield and upfront caused us to make mistakes." With just six days left to the new League campaign, Graham Turner wants to be vying for promotion and fans of our League Two rivals appear to expect us to be somewhere close. While Shrewsbury's Blue and Amber think we'll finish ninth, though they expect relegation for both Chester and Wrexham, Grimsby's The Electronic Fishcake thinks we'll finish fifth: "At least one club promoted from the Conference always does well. Hereford have that extra bit of experience over Accrington, which is why I believe they could just be a surprise package this season." Should Billy the Bull return? News that Vernon Bear is leaving Stockport County beggers the question should Hereford United bring back Billy the Bull. Vernon Bull has been the mascot at Edgeley Park for over ten years. In that time he has been very popular especially with the youngest fans. Stockport County chairman, Norman Beverley, said: "Vernon has been a fantastic ambassador for County not just at Edgeley Park both throughout the whole of the town. "There's no doubt that he'll be missed by all of us at Edgeley Park but we wish him all the best in his new job at the Vernon Building Society." What their chairman doesn't reveal is whether they plan to replace him. As regards Billy the Bull, it's several seasons since he has been seen at Edgar Street. His demise appears to have coincided with an improvement in the results of Hereford United. His costume had been purchased mainly with money from supporters, but that costume appears to have been mis-laid so if he is to be revived a new costume would be needed. Whether the management at Hereford thinks a mascot is part of the entertainment value of the club is unknown. Stockport - 40/1 - Avoided relegation to the Conference by just three points last season with new boss Jim Gannon being hailed as the saviour of the Hatters League position. Yet to make any significant moves in the transfer market but a reasonable squad badly underperformed last season and is largely still intact. Goals are a problem and a striker is desperately needed. Swindon - 9/1 - Most bookmakers favourites, but several of their better players have departed and new boss Dennis Wise may find himself back on the pitch sooner than he thinks with midfielders Sean O'Hanlon and Aaron Brown yet to be replaced, though Wise has confirmed talks with ex-England buddy Paul Ince. Torquay - 50/1 - Perrennial strugglers were another side to narrowly miss the drop. The losses of Jo Kuffor and Tony Bedeau will hurt, but the addition of former Plymouth striker Micky Evans and hot prospect Jamie Ward from Aston Villa should give some hope but the remainder of Ian Atkins signings look like Conference players and another long season is likely. Walsall - 12/1 - 17 players have departed since relegation from a 35 man squad. Just five new faces so far, though the quality seems much better than the bulk of those to depart, and a blank no.10 shirt suggests a striker is still expected. New boss Richard Money probably won't need the 51 players used last season. Wrexham - 20/1 - With the ground and money problems nearly at a conclusion, manager Denis Smith has at least had a little more scope than usual to assemble his squad. The imminent return of Juan Ugarte will add firepower, likely to be fed by Trinidad and Tobago winger Josh Johnson. May be a year too early for them to really challenge after years of living on the edge, but should not be too far off the pace. Wycombe - 12/1 - Expected by many to be top of the pack last year, they limped out of the play-offs with more of a whimper. New boss Paul Lambert has only had a month to familiarise himself with the squad and has chosen largely to stick with what he's got. The losses of skipper Roger Johnson, and midfielders Joe Burnell and Clint Easton may be hard to swallow after losing the goals of Nathan Tyson in January. 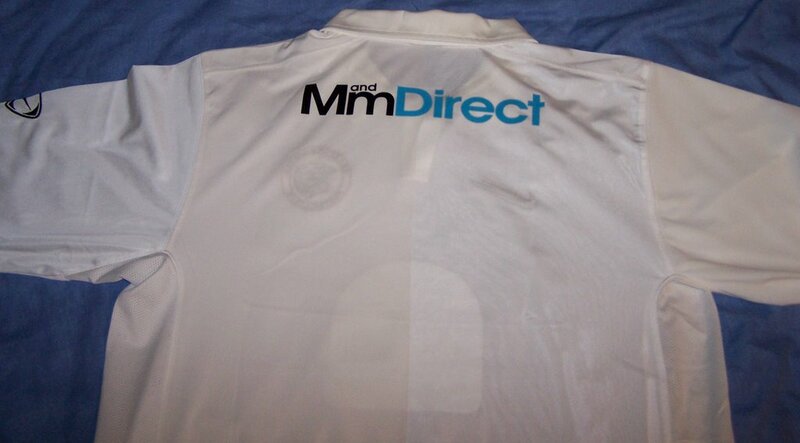 Mansfield - 40/1 - Finished last season with a 5-0 thumping by Cheltenham rounding off a disappointing season. Having retained the services of 18-goal striker Richard Barker, they have only tinkered with the squad in the close season after some major mid-season surgery shortly after the Bulls dumped them out of the LDV. MK Dons - 11/1 - The club they love to hate have been on a downward spiral since leaving Wimbledon. A new stadium is on it's way, and the cash is free flowing from Pete Winkleman's pockets. With Martin Allen at the helm, prised away from a successful Brentford side, big things are expected in their final season at the National Hockey Stadium. Notts County - 40/1 - The oldest club in the League remained so by only three points last season as ongoing money problems forced six players out in the January transfer window. New boss Steve Thompson has signed 12 new faces, though the quality has been debatable, and the squad appear to have gelled with a reasonable pre-season but few expect much different than last year. Peterboro - 16/1 - Life is never dull with Barry Fry about. Three managers last season, and complaints that Fry interfered in team selection cost the Posh a play-off place. New boss Keith Alexander, with three failed play-off campaigns with Lincoln, seems yet to have made his mark on the side and appears a couple of signing short to be amongst the early runners. Rochdale - 40/1 - The only side not to have left the division by either door since the Bulls departed the league, they have a paper-thin squad and are expected to make no real improvement on the mid table finish of last season with practically the same, if smaller, squad. Shrewsbury - 20/1 - Robbing your near rivals of three of their best players is the best way to signal your intentions for the new season, with Chris Mackenzie, Ben Davies, and Stuart Drummond all moving south down the A49. The squad has been trimmed for quality rather than quantity and, while the football may not be the most enjoyable to watch, it is certainly effective and the Shews are expected to improve vastly on last season's mid table finish. Ward: "Game Of Two Halves"
"I don't do cliches normally but that was a 'game of two halves' from both teams possibly, although I should imagine Hereford will be happier with the 90 minutes than I am. The first half from our side was disjoined to put it mildly. I thought we were well off the pace and conceded two goals with the first couple of shots they had. If anything, I'm pleased it happened this week in a friendly rather than next week down at Swansea. "However, at half-time we asked the team for a better response and they provided that so I suppose it's better that we go home with a bit of pleasure out of the game and a bit more encouragement. There was a better tempo about the game and I said that I didn't care about the result as long as we got a better impression from everybody. We did that and got the result out of it as well. "I won't hide about the first half performance, I'm pretty honest I think, and in the first half hour my two centre-backs were all over the place. That surprised me because they were so strong towards the end of last season and in the play-off final itself. But we can't sit on that, we have to pick up again this season and in the first half it didn't happen. Second half we got the decision making a lot better and while I'm not blaming them for the performance, I'm certainly not blaming the three young lads who came off at half-time because that would be unfair as well. "We demanded an improvement at half-time and people like JJ and Kayode lifted the pace at the front of the team and got hold of the ball. That in turn lifts other people and Finnigan and McCann became much more influential. They can have a big impact on games but to do that they need to have the ball and we didn't have enough of it in the first half. Credit to Hereford because they took their goals well and really gave us a kick up the backside in the first 45 minutes. "Mickey Bell has picked up a calf strain and it's in the other leg to the one where he's had the heel problem. That can happen sometimes if you've had one injury you can get another if you try to compensate. Obviously we've got one or two other injuries as well and we will wait until Monday before deciding where we are going with those. We have the reserve team cup final from last season at Colchester on Tuesday and hopefully Brian Wilson will play in that one." Chester City have finally confirmed the signing of Doncaster midfielder Ricky Ravenhill - on loan. The month long deal is expected to turn into a permanent deal, with no details released on why the deal has been done this way. Ravenhill made his debut, alongside Roberto Martinez, in today's 0-0 draw with Huddersfield. In other news, opening day opponents Stockport expect to make four new signings in the coming week with a winger, expected to join on a season-long loan, and a striker the top priorities after scoring just three times in five pre-season matches. They finished their pre-season programme today with a 1-0 loss at home to Tranmere. Michael Rose played the full 90 minutes in midfield, but there was no place for fellow ex-Bull Mark Robinson. Meanwhile, former Bull Bertrand Cozic has signed a one year deal at Exeter after a successful trial, joining Adam Stansfield at St James Park. Another former Bull, Danny Carey-Bertram has finally found his shooting boots for his new club, Cambridge. After scoring only from the penalty spot so far, DCB scored twice from open play against an Ipswich Town XI in a 4-4 draw. Edgar Street's Meadow End was open again this afternoon but many supporters didn't know. There was no information about the opening on the Official site. Only 989 fans watched the game of whom 157 were from Cheltenham. Meanwhile Hereford United look to have lost a fan this afternoon. 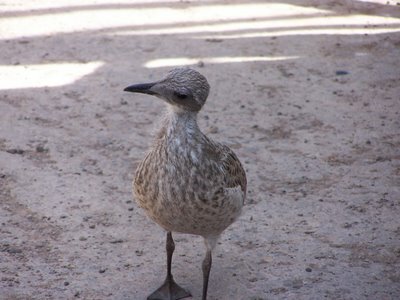 The young gull that has been present at all the pre-season games managed to fly out from the ground during the game. Graham Turner, the Hereford United manager, will probably be more pleased than his counterpart at Cheltenham Town, John Ward, with his sides performance this afternoon. The Bulls came out with all guns blazing and looked a class act in the first twenty minutes or so. Any neutral supporter must have wondered how the Robins had been promoted last season. Turner brought on several substitutes in the second period and the changes allowed the Robins to get back into the game. There were two new trialists in the Hereford squad, Trent McClenahan and Neil Marcello, and Luke Webb was also given a half. Webb played at the Lawn for the Bulls last Tuesday. New signing Martyn Giles started the game at left back as Alex Jeannin was left on the bench. McClenahan may have signed for the Bulls according to John Trewick whilst talking to BBC Hereford and Worcester's Keith Hall. "He has signed I think" were Trewicks words. A West Ham United academy graduate, Trent joined MK Dons for the second time in his career as part of a long-term loan deal prior to our home tie against Colchester in August 2005. He made his professional debut for West Ham as a substitute in the 3-2 victory over Crewe Alexandra in August 2004, but found first team opportunities limited and made just two more league and cup appearances before joining MK Dons in March of 2005, making his debut in the white shirt as a 75th minute substitute in the 1-1 draw at home to Swindon Town. After cementing his place as first choice right back, he played a key part in tightening the Dons defence and helped ensure that League One status would be maintained for another season at least. With aspirations of captaining the under-20's Australian side in the World Youth Championships, Danny Wilson has opted to bring Trent in again to bolster the squad's defensive credentials. After being told that first team opportunities would be as good as non-existent at West Ham at the moment, who are back in the Premiership after a play-off final victory against Preston last season, Trent joins fellow Aussies Nicky Rizzo and Gareth Edds at the National Hockey Stadium. A strong and composed defender for his tender years, he has plenty of pace and positional awareness and became a big favourite with the MK Dons fans in a short space of time. Hereford United drew 3-3 with Cheltenham Town this afternoon in an entertaining match at Edgar Street. The Bulls made a flying start to the game, taking a three goal lead in little over twenty minutes but a spirited come back by the away side saw the game end in a draw. United started with a strong eleven, perhaps the side that Turner will put out next week against Stockport, apart from Dean Beckwith who was absent due to injury. A debut was handed to recent signing Martyn Giles at left back, whilst Tim Sills partnered Stuart Fleetwood up front. Andy Williams started on the right wing and Richard Rose deputised at centre back for the injured Beckwith. Another new signing Trent McClenahan was on the bench, along with trialists Luke Webb and Neil Marsello. After a poor showing at Forest Green, fans could of thought that it was a completely different side as United made an excellent start to the game. Gareth Sheldon's long throw was met by instant control from Fleetwood, who turned and volleyed home with a left foot shot from close range. Nine minutes in and Fleetwood grabbed his second of the day. Sheldon worked hard to win a tackle before Fleetwood took control of the ball. Combining well with Sills after a neat one-two, Fleetwood found himself through on goal and neatly placed the ball past Robins 'keeper Shane Higgs. Former Bull Steve Guinan went close to pulling one back, but his left foot volley was cleared off the line by Rob Purdie. Minutes later, Hereford made it three. Sheldon was involved once again, taking a deep free-kick. The ball looked to have been heading out but Williams managed to nod it back to Sills, who headed home from close range to make it three. Williams could of made it four when he blasted over after Sills deflected effort had fallen to the local lad. Cheltenham fought back in the latter stages of the half and went close on a number of occasions through set-pieces before grabbing a goal back shortly before half time. A corner was whipped in and although there looked to be little danger, Sheldon's header deflected off the unfortunate Giles and into Brown's net. Half time saw Hereford introduce McClenahan and Marcello in the places of Fleetwood and Sheldon. Marcello is a left midfield whilst McClenahan slotted in at right back with Travis pushing forward. Yet it was the Cheltenham sub, Kayode Odejayi who went close. Brown came out to meet the big striker yet the Cheltenham man tried a lob which went harmlessly wide. A minute later, it was Marcello who had a decent effort on goal, an excellent first touch helped him make space for a fierce drive which Higgs plucked out of the air. Alan Connell and Webb were then subbed on for Tim Sills and Rob Purdie as United looked to brighten up their attacking options. Neat play in the middle of the park by the away side, created a good opportunity for an attacking player, the shot was tipped out by Brown but it fell to Guinan whos shot was also blocked. Two minutes later, Guinan was involved again and this time he won a penalty. Giles was the unlucky man again, judged to have bought down Guinan, Grant McCann took the spot-kick and easily slotted home. The substitutes made once again seemed to have distracted Hereford's play, and Cheltenham were looking increasingly likely that they would equalise. A scramble in the area nearly resulted in a goal but for Mkandawire's quick thinking to boot out for a corner. Jon Wallis and Sam Gwynne came on for Simon Travis and Andy Ferrell. Travis had picked up a slight knock after a decent run down the left. With little time remaining on the clock, Cheltenham grabbed an equaliser. Brown was penalised after pulling down Odejayi and it was McCann again who sent Brown the wrong way to equalise in the 90th minute. It was a much improved performance by Hereford, especially in the first half where some crisp football resulted in some decent goals. Fleetwood looked a danger throughout, linking up well with Sills. Bulls fans can now look forward to the game at Stockport with renewed hope after the poor showing at Forest Green last Tuesday evening. HUFC: Brown, Travis, Giles, Rose, Mkandawire, Ferrell, Purdie, Williams, Sheldon, Sills, Fleetwood. Hereford United put three goals past Cheltenham early in the friendly game this afternoon but could only draw 3-3 after the Robins levelled through an own goal and two penalties. Phil Gulliver is not in the Rushden and Diamonds squad that is due to play Peterborough United in a friendly tomorrow according to Rushden Today. The paper suggests that Gulliver is expected to know where he will be playing this coming season 'early next week'. "I contacted him once after speaking to him as I came into the job. But he didn't want to come here," Paul Hart, the Rushden manager told the paper. "Because we offered him a new contract and he's 23, we are still entitled to compensation. He's back for the next couple of days and we will see what happens." Diamonds' retained list was revealed yesterday with just 11 players staying at Nene Park. Last season's player-of-the-year Phil Gulliver, experienced left-back Ronnie Bull and young defender Magnus Okuonghae are among 13 squad members to leave along with five scholars. Hart also explained some of the factors behind decisions to let players leave Diamonds after relegation back into non-League football. "Gulliver decided to go elsewhere. We wanted to keep him and obviously we are a little bit disappointed. "Of course, I fully understand his desire to stay in the League. His deal ran out and he had a right to look at other clubs." Darlington - 14/1 - Behind the scenes ructions between the manager and board threatened to blunt their preparations, but with all that behind them David Hodgson appears to have assembled a reasonable squad. 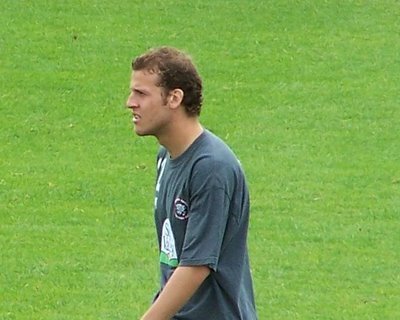 Swiss striker Gaetano Giallanza, who scored five in ten starts for Norwich a few years back, and French midfielder Kalusivikako Ngoma appear to be expensive signings for a Darlo side that expects much of the coming season. Grimsby - 14/1 - The play-off defeat in May cost them a manager and several players, but new boss Graham Rodger is confident and has assembled a strong squad. New faces include 41 year old Peter Beagrie, who hopes to clock up his 800th senior appearance this season. Hartlepool - 14/1 - Relegated last season, the Monkey Hangers will be looking to come back at the first attempt. Striker Adam Boyd and winger Tom Butler are both about to be sold, and replacements may be late in arriving. With that pair, 11 players will have departed since May but it still leaves a hefty 27 man squad that will need instant success. Lincoln - 25/1 - The departure of Keith Alexander, and a couple of players, to Peterboro, as well as losing several others has seen Lincoln - three times play-off losers - considered to be also-rans this time round. Both strikers that featured in the last play-off match, Simon Yeo and Marvin Robinson, have departed as well as influential midfielder Jamie McCombe and defender Gareth McAuley. Macclesfield - 50/1 - Quite possible operating the smallest budget in the league, and lucky to still be going after being found guilty on misappropriating Football Foundation funds, Macclesfield are likely to have another hard slog ahead of them this time. New strikers Marvin Robinson, with 11 clubs in 8 years, and Colin Heath, once the next big thing at Old Trafford, both have points to prove. Following press speculation yesterday Rushden and Diamonds can confirm that Philip Gulliver has returned for training at Nene Park after the collapse of his transfer to Hereford United yesterday. Club Secretary Matt Wild commented "When we heard reports that Phil had signed for Hereford United last week we were surprised that no-one had been in touch with us to discuss a possible compensation agreement. "The FA rules for players under the age of 24 clearly state that should a club make an offer of re-engagement to a player on not less favourable terms than his previous contract and the player rejects that offer then the club is entitled to compensation should he sign for another club. "We went to Hereford with a compensation proposal which was made up of a nominal fee upon them signing Phil with the remainder dependant on appearances.Phil had been an influential player for us over the past two seasons, having made over 85 appearances, and he was very much part of the manager's original plans for the forthcoming campaign.We were therefore disappointed that Phil rejected our contract offer and believe that the compensation fee asked for was justified. "However, Hereford have refused to negotiate on compensation as they were under the impression that Phil was a free agent. He has therefore returned to us until the matter is resolved. "We are in talks with Hereford over the player's future and the manager will be sitting down with Phil today to discuss the situation further. We are confident of reaching an agreement that is beneficial to all parties." Cheltenham Town will be without several players for tomorrow's friendly against Hereford United at Edgar Street. Defender Michael Townsend was injured last night in their game against Southampton which they lost 3-1. He joins Damian Spencer, Steven Gillespie, Brian Wilson and Michael Wylde all of whom are unlikely to feature. "Pre-season was going really well until we picked up this little string of injuries," manager John Ward told the offical Cheltenham website. "We deliberately structured the pre-season programme to end with two tough games in Southampton and Hereford United. "We saw how good Southampton were last night and Hereford are on the rise having won promotion back to the Football League. "These are the games we wanted because we can only expect a tough test at Swansea (the Robins first league one game of the season) and we want to prepare as well as we can." As regards Hereford United, manager Graham Turner will be expecting a better show from his young side than that seen at Forest Green last Tuesday. He admitted to BBC Hereford and Worcester that he had experimented with the squad. Dean Beckwith, who suffered a cut to his face at the game, is expected to be fit and new signing Martyn Giles will feature as long as his international clearance has come through. As yet it is unknown whether Luke Webb will get another game. Admission to the game is £8 for adults and £4 for concessions. The Meadow End is expected to be closed again tomorrow. 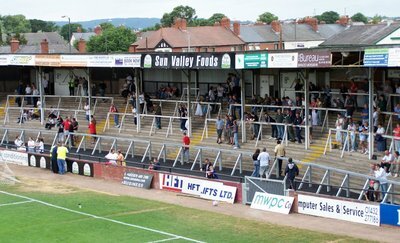 The most recent meeting between the clubs took place at Hereford's Edgar Street ground in February 1999, Cheltenham winning 2-0 with goals from Mark Freeman and Jamie Victory. Michael Rose is looking forward to the visit of Hereford United to Stockport County next Saturday, August 5th. "There are still a few lads there who I played with and I know it should be a good game. I'm certainly looking forward to it," he told the Manchester Evening News. Rose, who celebrates his 24th birthday today, admits to be happy to be at a club close to where he started his career. "When I was released by Yeovil, the gaffer got in touch and asked me to come up for a meeting. I liked what I saw and also what the gaffer said about where the club was going. "I was at Hereford for two years then Yeovil for another two so it's nice to come back up here." Accrington Stanley - 25/1 - A solitary signing, Port Vale midfielder Sean Doherty, kept fans waiting until this week when manager John Coleman finally unveiled two more - ex-Everton man Jay Harris and former Halifax stopper Ian Dunbavin, who becomes the club's most experienced goalkeeper. Accy have a style of play that is expected to adapt well to League football, but prize assets like Gary Roberts may be prised away. Barnet - 80/1 - A dismal return to the Football League last season is expected by most to be followed by a return to the Conference this time round. Cash strapped and in a ground that still fails to make League requirements, Barnet were fined for their ill-discipline last season. Four new signings, including veteran goalkeeper Lee Harrison and former Bulls loanee Nicky Nicolau, leave Barnet with a smaller squad than last time. Boston - 25/1 - All change at Boston, with eight new signings including Anthony Elding. With Steve Evans already complaining about his miniscule budget, and a rumoured move to Darlington for the fiery Scot in the pipeline, anything could happen to Boston this season. Bristol Rovers - 16/1 - Big ambitions at the Memorial Ground after a leaky defence cost them a play-off spot last season. After conceding more than relegated Oxford, Rovers have brought in the Bulls own Ryan Green and keeper Steve Phillips to rectify the problems. Rumours still persist around the future of striker Junior Agogo, with little in the squad to replace him. Bury - 66/1 - Getting smaller gates than their tenants FC United of Manchester doesn't provide the resources to challenge for promotion. A blend of journeyman footballers mixed with raw local talent is expected to struggle against relegation, though the goals of Conference top scorer Andy Bishop may see them through in the end. 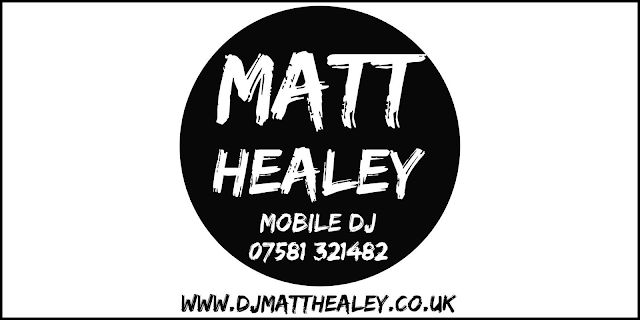 Chester - 25/1 - It's never quiet at the Deva Stadium. If it's not the Chairman blaming the fans, then it's a player or two disagreeing with Mark Wright. This pre-season has had it all with the Chairman pulling transfer funds and Michael Branch making a surprise return to the fold after being told where to go. If Mark Wright has found 20 people to make a squad that won't fall out with him then they'll be right up there with the flying pigs. On the day that Hereford signed Martyn Giles, a defender who appeared in the Inter-Toto Cup for Carmarthen, it's another former United youngster who could be grabbing the headlines this evening. Nick Harrhy will be in action when Llanelli play against Gefle this evening at Stradey Park. Leading 2-1 from the first leg, in which Harrhy came off the bench to set up the equalising goal, a win for Llanelli this evening would see them progress to the second qualifying round of the UEFA Cup and one round away from the proper stages. 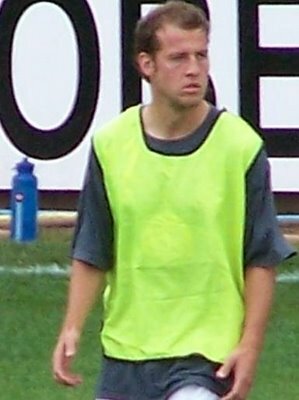 Harrhy played for Norwich and Bristol City before training with United. 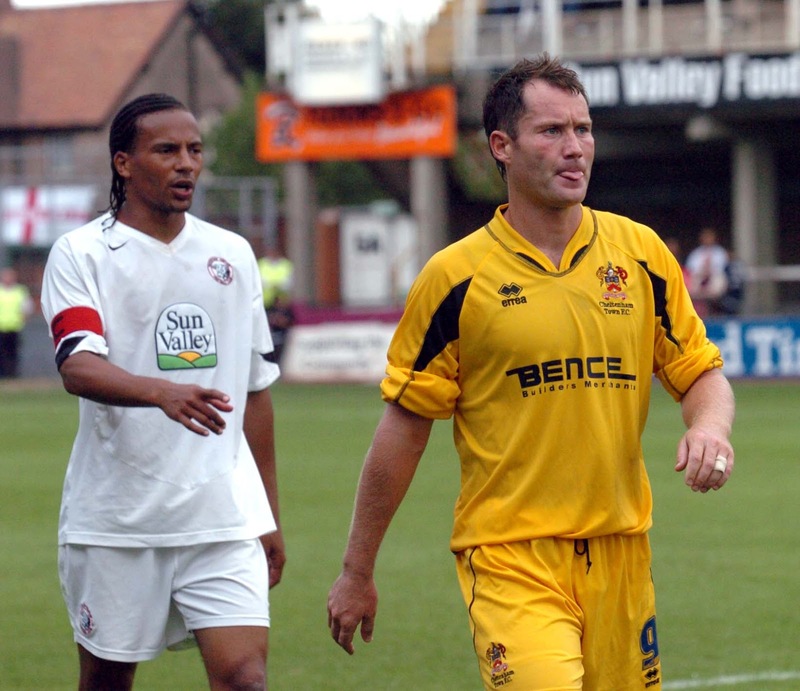 After a spell playing his trade in Australia, Harrhy returned to Edgar Street asking for training and appeared in United's defeat in the LDV Vans Trophy to Northampton played in November 2003. He came on in extra time, and looked as though he would make a name for himself after two decent efforts. Sadly for Harrhy, he missed a penalty in the shoot-out and The Bulls went out. Harrhy continued his journey around, with spells at Gravesend, Welling and Newport before finally finding his feet at Llanelli. Meanwhile, Brian Smikle, who played for Hereford on work experience from West Brom during the 2004/2005 season has joined Kidderminster Harriers on a one year deal. The skilful winger was also loaned out by The Baggies to Halifax Town and was on the subs bench in the play-off final against Hereford. 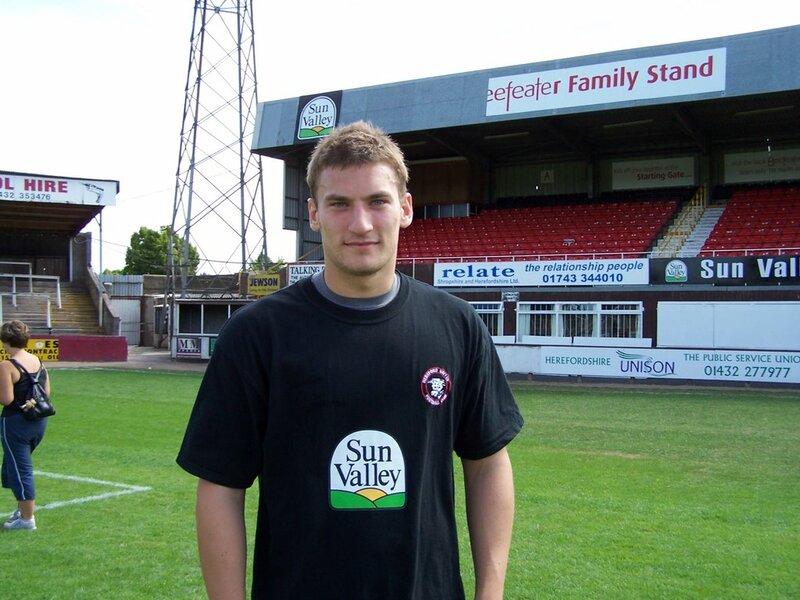 It has been reported that Phil Gulliver has left Hereford after just one week at the club to re-join Rushden and Diamonds. He wasn't included in the squad that played at Forest Green last Tuesday. UPDATED 12.10pm: BBC Hereford and Worcester have reported that Graham Turner, Phil Gulliver and Gulliver's agent were all under the impression that Gulliver had been released by his former club Rushden. Yet Rushden claim to have offered him a contract and therefore are entitled to a fee of £30,000 for the defender. Gulliver has now returned to Rushden and Diamonds. Graham Turner told BBC Hereford and Worcester: "It's been a messy affair but it looks as though it might all be over now and Phil's gone back to Rushden for the present time". "It's the waste of time, that's the critical thing. While we were messing around with Phil we could have been looking at other central defenders. "I'm not going to criticise Rushden and Diamonds; they obviously were aware they had a hold on him and when they felt the time was right, they've put out what they want for him, but it's messed us about." Later: It has emerged that Gulliver's name was on the PFA list. Why Rushden have taken so long to 'reclaim' him is not clear. Meanwhile, BBC Hereford and Worcester report that new Bulls signing Martyn Giles has signed a one year deal. Turner added: "He trained with us for a couple of days last week on a trial basis. We've had him watched when he's been playing for Camarthen; he's a former Cardiff City player and, at 23 years of age, I just think he's got a fair amount of ability and needs the chance at a decent level again." New Hereford United signing Martyn Giles was attracting interest from Cardiff City and Swansea City before joining up at Edgar Street. Mark Jones, manager at Carmarthen Town contacted Cardiff boss Dave Jones about the possibility of a trial for Giles who has impressed in the past few seasons, IC-Wales reported around a month ago. 'Martyn was tremendous again and I'm mystified why Coca-Cola League and Championship clubs haven't come in to sign him,' said Jones. 'Of course I'd love to see Martyn stick with Carmarthen, but he should be playing far higher. 'He could play at Championship level or better. I'm convinced of that. Giles played in the Inter-Toto Cup for Carmarthen against Finnish league leaders Tampere United where Giles played excellently in the Welsh sides defeat. Before being heavily linked with Cardiff, Giles also attracted interest from Swansea City according to www.swansea.vitalfootball.co.uk but Kenny Jackett denied these rumours. And Town rocked the visitors with an early brace when Town defender Giles struck home after Willy Gueret failed to deal with the high ball and it rebounded off the post to the 'Bulls' trialist. Speculation yesterday that a left-sided player was to join the Bulls has been confirmed by the Hereford Times this morning. Described as a left-sided full back or centre-back, Martyn Giles, a 23 year-old former Cardiff City player and Welsh u-19 international, has joined Hereford United from Carmarthen Town and is a current Welsh semi-pro player. He also had a spell with Morecambe. The paper says he may get a chance to play at least a part of the game against Cheltenham on Saturday in time. Pic courtesy of Carmarthen Town. Crawley Town face voluntary liquidation after the owner's CVA proposal was voted out at a meeting of creditors. The Inland Revenue, owed nearly £250,000, and other creditors, including former manager Francis Vine, voted against the proposal, offered by owners Chaz and Azwar Majeed, leaving the Administrator free to sell the club to the highest bidder. Crawley fans are in the process of forming a Trust and hope to at least form part of a bid to take over the club, while former diamond dealer and one-time Bishops Stortford chairman John Goodwin is also interested in taking the club forward. Forest Green chairman Trevor Horsley has stepped down on health grounds. Vice Chairman Colin Gardner will step up until their next AGM when it is hoped Mr. Horsley can reprise the role. Grays new signing Ashley Sestanovich has been sacked after he was arrested and charged with conspiracy to commit robbery. He is to face court alongside former Farnborough team mate Carl Gibbs. Farnborough themselves are also in trouble, today calling in the Administrators after struggling to cope with life in Conference South. Chester City are reported to have made a better offer to former Swansea City midfielder Roberto Martinez. "We have made what I think is an attractive revised offer to Roberto, and hopefully he will agree to join us," said Mark Wright the Chester City manager. "I am aware that there are other clubs interested in signing him, but with a player of his quality, it is only natural that he will attract a lot of interest." 33 year-old Martinez spent three and a half years at Swansea. Meanwhile, misfit Michael Branch is off the transfer list and back in the Chester fold after apparently patching up his differences with manager Mark Wright. The midfielder made a surprise return to training this week and is expected to play in tonights friendly with Droylsden after Chester failed to impress in six pre-season friendlies so far. Finally, former Hereford United goalkeeper Matt Baker had a trial game for Gillingham last night. At yesterday's photocall Graham Turner told the Hereford Journal that he hopes to see his side challenging for promotion. "It is our ambition to be up there challenging. A lot of people have suggested it will be a season of consolidation for us, but I do not think that will be the case. "There is plenty of enthusiasm, bags of honesty and ambition in the squad and I think it will be a good season. "There are some big spenders in League Two. The message seems to be that the clubs prepared to spend a lot of money on wages will have better teams. "But I think passion, belief and hunger can get you just as far and we have got those in abundance. "We have got 17 players and want to bring it up to at least 20. The transfer window does not close until the end of August, so we may take the opportunity to take stock after the first few games, but I would like to get the squad settled as quickly as possible. "The new lads have integrated themselves very well. There has been a good deal of banter among the players and the mood in the dressing room seems right." Meanwhile there is speculation that a left-back is in discussions with the club about a move to Edgar Street. Earlier this month last night's trialist Luke Webb spent sometime with the Cherries. Formerly with Arsenal then Coventry he trained at Bournemouth for several weeks. Former Hereford United coach, Richard O'Kelly, spoke to the local Dorest press about Webb. "Luke is a six-footer who can play anywhere across the middle of the park and is a good athlete," said the Cherries assistant manager. "We saw him on five or six occasions last season and he did quite well in a very young Coventry reserve side. He's been made available so we thought we would get him in to have a look." "He's a lovely lad and the sort of person you take to straight away. He's very dedicated and does things the right was. He's intelligent and asks questions at the right time. He's been first class since he's been here." Former Hereford United player Stuart Watkiss is to be become the assistant manager at Grimsby. Watkiss was in charge at Kidderminster until Mark Yates took over in the middle of last season. He played 21 times for the Bulls in the 1995/6 play off season after joining mid season from Walsall. 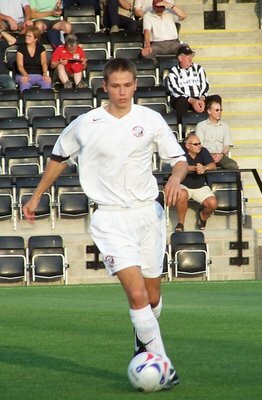 The new trialist playing for Hereford United last night at the New Lawn is said to be Luke Webb. Information placed on the Forest Green Rovers Forum by the lady adminstrator said that Neil Webb, the former Notts Forest and England, was at the game watching his son Luke playing for Hereford. 19 year-old Luke joined Coventry last August. He is described as being 6 feet and just over 12 stone. Last night he was given the number eight shirt and played the whole ninety minutes in midfield. Forest Green recorded a two goal victory over Hereford United this evening after a shocking performances by The Bulls. It was the first time that United fans had been able to see their side play at The New Lawn. Two second half goals from Sam Litchfield and Adrian Bellamy was enough to defeat Hereford, who never looked like scoring throughout the game. Hereford fielded a strong starting eleven including the partnership of Andy Williams and Alan Connell up top. Trialist Paul Jones partnered Andy Ferrell in midfield, whilst another trialist, Marcus Palmer, who featured at Ludlow, started on the bench but did not feature. Forest Green gave former Bull Jamie Pitman the captaincy and another former Bull, Danny Williams, started on the bench at The New Lawn. Forest Green looked lively in the opening minutes, and in particular Charlie Griffin who turned well up against Mkandawire but fired a powerful shot over. Minutes later, Griffin tested Wayne Brown with a 25 yard drive but Brown was equal to it. 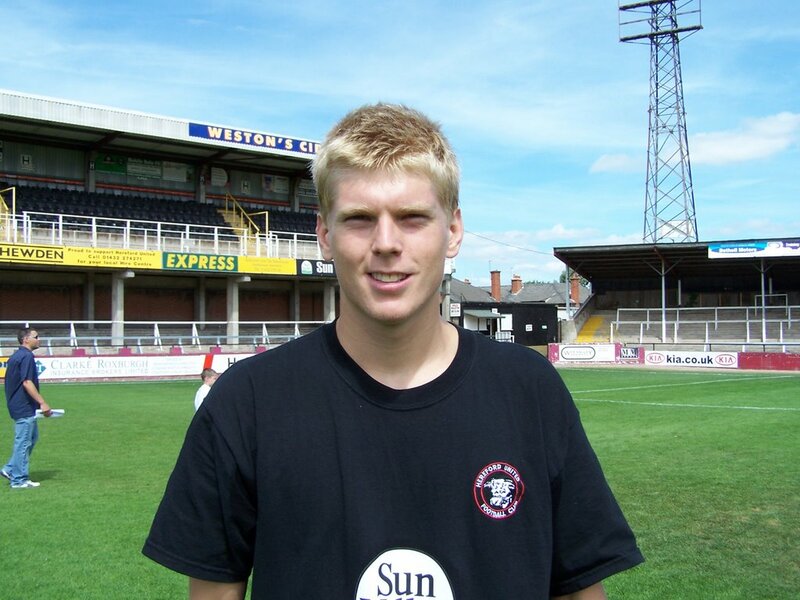 In the 33rd minute, Alex Meechan shot straight at Brown with a weak effort but in the build up, a clash of heads led to Hereford's Dean Beckwith being taken off after a head wound, he was replaced by Jon Wallis with Simon Travis switching to right back and Richard Rose coming into centre back. Andy Williams was bought down on the edge of the area but the free-kick was poor by Alex Jeannin, struck the wall with no real power. The impressive Jones, in the heart of United's midfield, set up Ferrell but the former Watford youngster struck a weak shot at Ryan Harrison. Just before half time, Gareth Sheldon volleyed over after a cross from Andy Ferrell. In an attempt to liven up the game, Stuart Fleetwood and Rob Purdie replaced Alan Connell and Andy Ferrell at half time. Williams mazy run saw him beat a defender but his powerful shot was well saved by Harrision, this was Hereford's best chance of the game and only shot in the second half. Just a minute later, Brown rushed out of his box to meet the oncoming striker but fouled him. The ref blew up but did not hand out a card, the resulting free-kick was deflected wide. Pitman became livlier as the half went on, his cross met by Bellamy's head went wide. Then Pitman himself tried his luck with a half volley from 25 yards which went far over Brown's bar. Tim Sills took the place of Gareth Sheldon with Andy Williams moving to the left side. Andy's namesake, Danny Williams was also introduced halfway through the second period for Meechan, the former Stevenage winger is looking for a new club after being released from Broadhall Way after just one season. In the 69th minute, Rovers took the lead. Bellamy placed a through ball for Lichfield, whose touch took him around Brown. Despite over-running it, the former Wigan youngster, struck the post before firing in at the second time of asking. Danny Williams ran well but shot well wide of Karl Lewis's post, who replaced Brown late in the half. Sam Gwynne was also introduced, taking the place of Alex Jeannin. Two minutes into added time, Rovers provided a knock out blow after some strong running down the left from sub Paul Stonhouse. His low cross was met by a poked shot from Bellamy, leaving Lewis with no chance and making the game 2-0 to the home side. Played in front of 802 supporters at the impressive New Lawn, Forest Green were deserved winners after a lacklustre display by Hereford. The Bulls didn't look like a side and struggled to create any real chances throughout the game although two positives that United can take out of the game is that trialist Paul Jones looked a very assured player, comfortable on the ball and a strong tackler. Richard Rose also impressed with his strong tackling and versatality to play in more than one position. Next up for The Whites is a home friendly against Cheltenham, Graham Turner may choose to treat this as their "first game of the season" to better prepare the players for the opening day trip to Stockport. Hereford: Brown, Rose, Mkandawire, Beckwith, Jeannin, Travis, Jones, Ferrell, Sheldon, Fleetwood, Connell. Subs: Lewis, Wallis, Purdie, Gwynne, Palmer, Fleetwood, Sills. If former Bulls player-coach Phil Robinson learnt one thing from working under Graham Turner, it was leaving it until the last minute to announce signings! Robinson, who faces his first Conference season as a manager with newly promoted Stafford, has yet to announce any additions to his promotion winning squad but is lining up a string of signings including several with Conference experience. In other Conference news, Tamworth have been fined £9,000 for a second successive season of ill-discipline. They were also the only Conference side to receive an automatic fine for seven cautions in a match. The League Paper, sister of the Non-League Paper, will return on August 6th. It's future was unclear after the parent company went into administration following the finding a large hole in their accounts, but several news sources are now stating that the paper will make an appearance the day after the first day of the new season. Stuart Fleetwood spoke to Bulls News, who are sponsoring the striker this season, during the photo call at Edgar Street this morning. Firstly, I asked Stuart how he reflects on his first six months at the club. "I have really enjoyed it so far, there a great bunch of lads and the gaffer has really helped me come through, hopefully this season will be my season. I think we can do really well in this league at the moment"
Stuart then reflected on the pre-season so far. "I've really enjoyed it, I think we have done well. Obviously there is a lot of strikers here at the moment and we have just been playing forty-five minutes each but when I have come on, I have enjoyed it"
Speaking about his excellent free-kick against Bristol City on the weekend, Stuart told me that he is looking for a few more like that. "We have been practising them in training, there is a few players trying to get on them so hopefully I have cemented a place for a couple of games and hopefully I can put a few more in." I then asked which striker Stuart felt most comfortable playing alongside. "I don't really mind, obviously I haven't played that much alongside Alan but when we have played, we have both scored. I can play up front with Willo or Sillsy, they are big target men but I am comfortable with any three. As long as I play, I don't mind." Stuart then explained his ambitions for the coming season. "Obviously I think we just want to survive this year, but I think we can finish mid-table. Hopefully I can end up being a regular and end up top scorer as well." Forest Green will trial a string a forwards tonight as they continue to prepare for the coming season. Former Wigan man Sam Litchfield and Swede Ash Triore will join Lloyd Blackman, notable to Bulls fans as the player at the centre of a "gypo" storm in a teacup a couple of years ago, and all get their chance to shine against the toughest defence in the Conference last season. One player not likely to get an opportunity is Guy Ipoua, who failed to impress during a brief trial last week. Jamie Pitman, rested in Forest Green's 1-1 draw with Moor Green at the weekend, is expected to face his former team mates. Nicky Nicolau has signed for Barnet. The 22 year old left back has agreed a one year deal at Underhill. Nicolau came to Edgar Street on loan from Swindon for much of the latter part of last season but his appearances for Hereford United were curtailed by injury. Meanwhile another former Bull, Ryan Green, could make his debut for Bristol Rovers this evening when they take on Clevedon Town. "I'd done a week of running and my knee started playing up. It lasted for about three weeks and I only got back into training last Friday, but hopefully I can be involved (tonight)," Green told the Western Daily Press. "It seemed that every time I tried to do anything more than jog my knee started clicking and was quite painful. "The more I did then the worse it got, but I've rested and our physio, Phil Kite, has treated it well, so now hopefully I can be back. "It was frustrating to be back at square one after a week of hard graft, but I've kept myself as fit as I can by going on the bike and treadmill in the gym and doing a bit of swimming - hopefully that will help. "I know I might be a few weeks behind the others but hopefully I can still go on to stake my claim for a first-team place." Hereford United travel to the New Lawn tomorrow for another pre-season friendly, this time against Forest Green Rovers. The new stadium is just a few yards higher up the hill from the old one. But there is more parking around the ground which should ease congestion on the near-by roads with visiting fans allocated parking spaces near to the Nympsfield Road side of the ground. Forest Green Rovers are based in the town of Nailsworth, approximately 4 miles south of Stroud, Gloucestershire. The ground is a short distance from the main A46 Bath-Stroud road which runs through Nailsworth. In Nailsworth there is a mini-roundabout. Upon reaching this turn off into Spring Hill (right if travelling South from Stroud , left if coming North from the direction of Bath). Drive up Spring Hill and along Nympsfield Road for approximately 900 yards. The ground is on the left, with the main car parks located at the end of the stadium complex. Former Bull Bertrand Cozic is currently on trial at Exeter. The French midfielder, who played for Team Bath last season, has seen service with a string of clubs since a brief spell with the Bulls late in the 2003-4 season. He managed four substitute appearances for the Bulls, and was a sub yesterday for the Grecians in their 1-0 friendly defeat to Bristol Rovers. One ex-Bull not taking part in the game was Ryan Green, who is still yet to play for his new club due to injury. Bristol Rovers are also likely to lose Junior Agogo before the season starts after Southend lodged a six figure bid for the striker who has scored 45 goals in three seasons for the Pirates. Meanwhile, Yeovil's rumoured move for Paul Parry appears all but dead after boss Russell Slade confirmed that teenage winger Ismael Welsh is likely to sign next week. The former West Ham man has played in all of Yeovil's pre-season friendlies. Parry, however, shrugged off the disappointment to score in Cardiff's 5-0 win over a Chinese u-20 side in Canada. David Hodgson is still Darlington manager, but the old adage of there's no smoke without fire still stands. Hodgson returned from holiday on Thursday to find the club had made a £250,000 bid for Carlisle's Michael Bridges without his knowledge, and is believed to have a number of problems with the way the club is being run since former Boston chairman Jon Sotnick took the Chief Executive role. Hodgson to the official Darlington site: "A hand grenade was thrown into this club on Friday and blew everything up in the air.. And who is the person to protect people from the shrapnel? Me! "I had a chat with them before the game, very briefly on what has taken place and tried to put it to bed within the changing room. You have got alot of disgruntled players in there who have come to the club because the manager is here, then all of a sudden the manager could be going, it doesn't help the case you know. 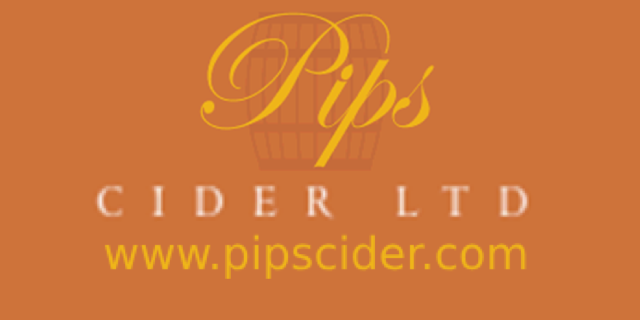 "We have still got some discussions to take place, I am hoping to meet the directors and the chairman on Monday. There are things that I need to have confirmed to me and I need that to be rubber stamped for me." Phil Gulliver, who signed for Hereford United last monday, has been speaking about his move from Rushden and Diamonds to Edgar Street. "I left Rushden after we got relegated. I got a phone call one day from Graham Turner and he just asked what I wanted to do for the season," Gulliver told Bulls News. "I liked his ambition so I came across and had a chat with him and signed here on Monday." Gulliver made his first appearance for the Bulls yesterday. "I think I got ten minutes at the end yesterday. I've only trained three or four days so the gaffer said I'd only get ten minutes at the end and hopefully get something against Forest Green and Cheltenham and be ready for the season." Asked whether his arrival at Hereford might mean the formation of the team could be changed, Gulliver wasn't certain. "It gives the gaffer an option to play a two or a three. Hopefully I'm here to push Tamika and Dean. So it will either be two from three or all three. Yesterday Gulliver played on the right hand side. left side. Either or really." There was a good turnout at the Hereford United open day with all the players and staff present. And once again the 'Guy the Gull' was on the pitch and taking note of the proceedings. John Trewick, the Hereford United coach, told supporters that the club was hoping to sign a few more players but couldn't reveal any details as yet. He did however hint that there may be news later this week. He also told fans that one of the ways he had recently kept fit was by knocking down the Meadow End wall with a sledge-hammer. When asked if he would do the same with the wall at the Blackfriars end, he replied that there were no plans as yet for that end. He hoped something would happen sooner than later but recognised the time it takes to get plans agreed with the council. Alex Jeannin will miss Hereford United's first three games of the season it was revealed today. 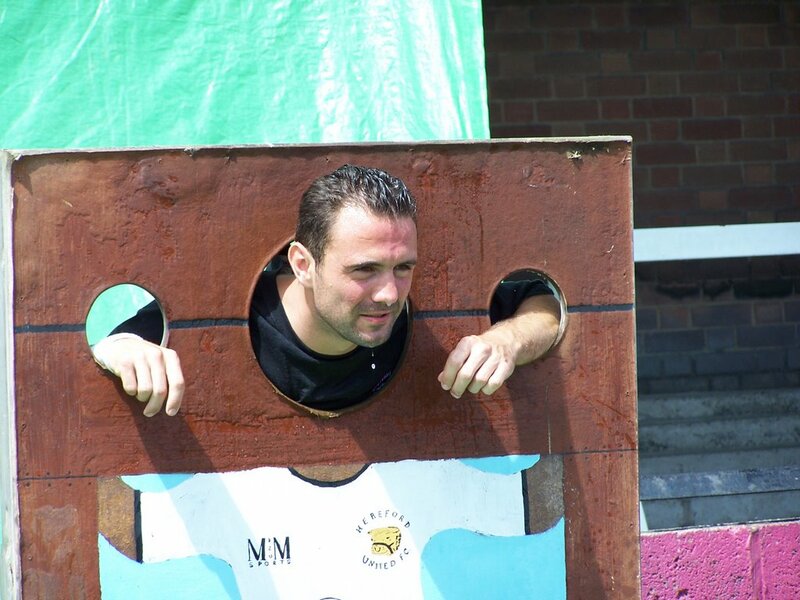 Alex Jeannin in the stocks at Hereford United's open day. Jeannin accumulated 15 yellow cards last season so the suspension starts on August 5th. His suspension poses a potential problem to Graham Turner of who to replace him with. Yesterday Andy Ferrell played in the left back position for much of the game. Alan Connell has confirmed his move from Torquay to Hereford at today's Open Day at Edgar Street. He has signed a one year deal. "I'm delighted to have signed," Connell told Bulls News. "I'm delighted to have joined Hereford. A very well run club. They look after the players well which I'm delighted with - so are the other players as well. "It's a real family club. Everyone gets on well. I think we're going to have a good season. "I'm a Hereford United player and I'm very very pleased to be one." Connell spoke about yesterday's game. "I think Bristol City will get promoted. They been there or thereabouts for a number of years but with Gary Johnson in charge I think this will be their year. "But we more than matched which is a good sign, especially in the first half. He commented on Fleetwood's goal. not too many went in but he saved his best for Saturday." Bristol City manager, Gary Johnson, thought his side just about deserved to win this afternoon's friendly at Edgar Street. "We didn't quite get our game together in the first half. I thought they had the better of it in the first 45 while we dominated the second half," Johnson told the Official Bristol City website. "They scored against the run of play with a good free kick. It's so hard to defend when the ball is so close to the area but it shows you can't afford to giveaway free kicks in dangerous areas like that. "We got further up the field and looked like scoring in the second half. We got more crosses, shots and people in the box and that earned us the luck with the own goal to win it. "Hereford defended very well and the players threw their bodies in the way of the ball when it mattered. They provided us with a very stern test." Despite only having 16 signed players there were no new Hereford United trialists on show at Edgar Street this afternoon. Reserve keeper Thompson has still not featured for the Bulls but Alan Connell came on in the second half. After the game Simon Travis told Keith Hall for BBC Hereford and Worcester that it had been a good workout. "It was hard work for us. They were a very good side, very organised, very strong, very fit. "I think the lads are pretty happy with the way we performed." Travis described the cruel own goal which gave Bristol City their 2-1 victory. "Impossible for Wayne. It was a great cross from the right winger from Bristol City and it was unfortunate that Deano just caught it wrong. There wasn't much Browner could do or Deano could do." Stuart Fleetwood scored the Hereford goal. "It was a good free kick. I think the keeper was wrong-footed somewhat," said Travis. 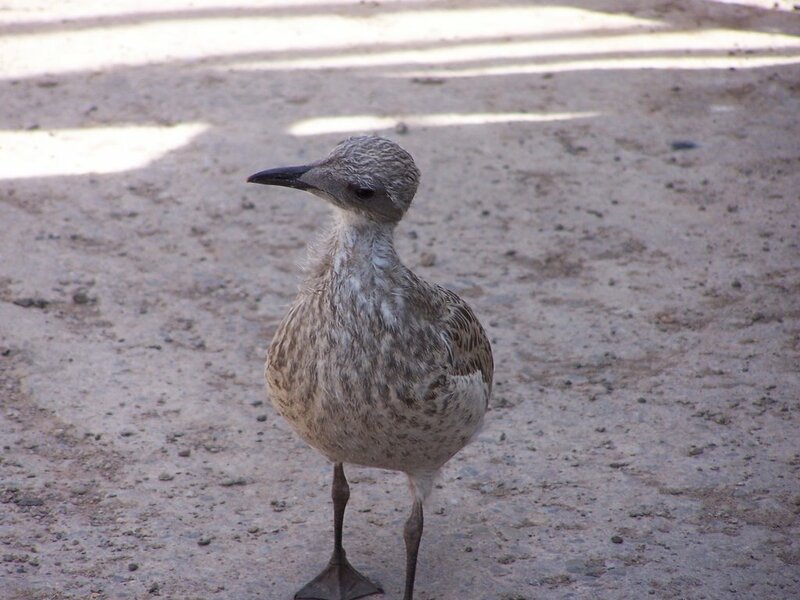 Meanwhile the young gull who appeared on the pitch last Tuesday evening and watched the Westfields game was in attendance again this afternoon. Bristol City fought back from a goal down to beat Hereford 2-1 in an entertaining encounter. Stuart Fleetwood had given The Bulls the lead with a powerful free-kick but a goal from Phil Jevons levelled things up before Dean Beckwith sliced past Wayne Brown with four minutes left to play to give the away side the victory. United started with a strong side, which included Andy Ferrell at left back and Richard Rose in central midfield. Brown returned in goal whilst Tim Sills partnered Andy Williams up front. The start to the game was a very patient one with both sides looking comfortable in possesion but not creating any real chances, Tamika Mkandawire's header from a Rob Purdie free-kick which was straight at City goalie Adriano Basso, was the only real chance in the opening twenty minutes. The away side signalled their intention of grabbing the first goal when Liam Fontaine unleashed a long range effort which whistled just past Brown's post. Ten minutes later, Steve Brooker's acrobatical effort from a right foot cross took an awkward bounce which had Brown beaten but the crossbar came to the rescue as the ball struck it and went over. Sills intelligent ball back to Wallis, created a chance for the former Gillingham player, but his shot deflected into the arms of Basso. Former Yeovil striker Jevons hit a half volley over before the ref called the first half to a close. Williams was replaced by Fleetwood at half time, but despite this change, it was City who came out creating the chances. David Cotteril ran at the Hereford defence and created a decent chance for himself but his shot was weak and Brown made an easy save. Jevon's curling free-kick went close to the first goal, only Brown's excellent diving catch stopped him from opening his account. Bristol kept on coming back at Hereford, subsitute Enoch Showunmi missed a decent opportunity whilst Jevons volleyed wide after an excellent turn. Still City attacked and Jevons once again went close with a header which from close range, went just over Brown's bar. With sixteen minutes remaining, the away side finally got their reward for the constant pressure they put on Hereford. Jevons met a cross, and despite strong appeals that he handled to control, his second touch saw him slot home past Brown to equalise. New signing Phil Gulliver and Sam Gwynne both got short run outs, replacing Mkandawire and Wallis but with four minutes remaining, Bristol City won the game. A cross came in from the right hand side and Beckwith sliced into his own net to hand the away side a late win. An attendance of 1117 fans including 322 away supporters saw a deserved win for City, but Hereford can take much from the game. Richard Rose looked comfortable in midfield whilst Andy Ferrell also impressed at left back. Once again, Fleetwood looked lively when he came on with his running but at the end of the day, fitness and class shown through for Bristol City. On Tuesday, United travel to Forest Green for their first ever visit to "The New Lawn". Coupled with a decent away following, Hereford will be looking to return to winning ways against the Conference outfit. Hereford: Brown, Travis, Ferrell, Mkandawire, Beckwith, Wallis, Rose, Purdie, Sheldon, Sills, Williams. Subs: Jeannin, Fleetwood, Connell, Gwynne, Gulliver. The Bulls have been linked to another AFC Telford player - striker Kyle Perry. The former Walsall trainee was released by Telford in the week in what manager Rob Smith called a "tough decision". BBC Radio Shropshire reported that Hereford United were one of several clubs interested in the player. Perry, 21, scored 23 goals in his debut season at Telford as the Bucks gained promotion to the Unibond Premier at the first attempt, but managed just 9 last season. Two former Hereford United players are competing for the left back position at Stockport County. Mark Robinson and Michael Rose are both signed at Edgeley Park for the coming season. The two played 45 minutes each in last night's friendly against Leicester City. Rose was reported to have sent a free-kick high and wide. Robinson was signed from Hereford United late in May 2005 to link up with Chris Turner who was then manager at Stockport. Turner had been his manager at Hartlepool where he started his career. games in his first season at Huish Park. But last season he fell out of favour and had spells on-loan at Cheltenham and Scunthrope before being signed by Stockport. Last Tuesday evening Bulls News reported that Alan Connell had signed for Hereford United. It seems the report was premature and we apologise for the mistake. Our assumption that he had signed was based on the fact he played in the County Cup match last Tuesday against Westfields. It now appears that he only had to be registered for that game to comply with the rules. Graham Turner has since spoken about the Connell situation to BBC Hereford and Worcester. In the interview the Hereford United manager told Trevor Owens that he wants to see more of the player. "Alan came to us; he hadn't got a club after being released by Torquay. "I'd seen him play on a number of occasions; he also came highly recommended by [former Hereford Coach] Richard O'Kelly, so we agreed to have him up here for a couple of weeks to see how he looks. "He's played a couple of games and done ok, so there is the possibility that over the next few days we'll start talking to him about whether he wants to stay with us for a bit longer." Turner suggested that as severance pay finishes for players in the Football League at the end of the month, he expected more transfer activity. "It's easy to sign players; what you want, though, is good players! "We have got the transfer window up until the end of August, so there is the possibility we could have played two or three league games before deciding where we're going to jump on the next one. "There is a little bit of time; sometimes you have to be a little bit patient - we can jump in and sign two or three players over the next four or five days and have it completed, but then regret some of the decisions a little bit later on." Boston boss Steve Evans is being linked with a move to Darlington, alongside his former Chairman Jon Sotnick. Sotnick quit Boston last month after complaining that the club couldn't adequately pay him, and he became Chief Executive at Darlington within days. He was responsible for bringing Evans back to Boston after his lengthy ban expired, and the pair are believed to be close personal friends. Rumours are now rife that current Darlo manager David Hodgson has today been sacked from the club, along with his entire backroom staff, just two weeks before the season starts - and that Sotnick has lined up Evans as his replacement. The argumentative Scot was suspended for 20 months for his part in the illegal payments saga that soured Boston's promotion to the Football League, and is still awaiting trial in November for tax evasion charges stemming from the original investigation. He complained earlier in the week that he was operating one of the smallest budgets in League Two, and made several references to the resources available at Darlington. Hodgson has left the Darlington hotseat twice already, the last time 10 days before the start of the 2000/1 season - just prior to the George Reynolds era imploding. He returned in late 2003 after a disastrous start to the season, and has narrowly missed the play-offs in the last two years after helping the club from the brink of extinction following the Reynolds era. The visit of Bristol City tomorrow should encourage more supporters to come to Edgar Street than have been seen at the last two pre-season games. However with the Meadow End again closed for repairs, some fans are likely to stay away. Graham Turner spoke about the game to BBC Hereford and Worcester. "It's getting to the stage where you need to leave most of the players on for ninety minutes but at the same time give the others the opportunity to stake a claim. So it's keeping that balance right. "But it will be a good workout. "We're hoping for a few more turning up to watch it as I think Bristol City will be an attractive side this season." Graham Turner has given the following interview to the Four Four Two magazine. Having finished second for the past three seasons, Hereford United finally overcame their play-off jitters to beat Halifax in the final, Graham Turners stylish approach deserving of a place in the league after a nine-year absence for the Bulls. "It's nice to get the plaudits for the way we play, but Hereford have always liked to get the ball down and play. Last season, we had to face some direct sides but there are a number of Nationwide Conference clubs who play the game the right way and all four sides who made the play-offs fall into that category. "Having finished second for three seasons in a row, there was always a worry that failure could again be on the cards. That concern was heightended by the fact that there was very little to choose between all four play-off sides but for once lady luck shone on us. "There were moments when we could have gone out in the semi's against Morecambe and indeed in the final against Halifax, but we stood firm and when that final whistle went at the Walkers Stadium, it was one of the proudest moments of my managerial career. "Now we look ahead to the new season. There's a perception that the difference in quality between League Two and the Nationwide Conference is minimal, but there is a gulf over the course of 46 games and we need to be ready. The nucleus of last years squad will still be here, our promising youngsters should thrive in their new surroundings, while we also hope to bring in six or seven new players. "The close season has been hectic. League players look down on the Conference and dont want to drop down. Now, we're inundated with calls from decent players wanting to play for us. We're also in a position to enter a joint venture to redevelop both ends of the stadium and having made £300,000 profit in each of the last two years, hopefully we can boost that figure next time by improved commercial activity. "While the pundits will tip us to struggle, we have hope and ambition. Carlisle, Doncaster and Yeovil are an inspiration to us. They built on the momentum of their promotions to take League Two by storm. "Success whets the appetite for more as the players and staff from those clubs have discovered. If the scenes that greeted our play-off victory are anything to go by, the Hereford players and officials will be keen to follow suit." Chester City have blamed the player's agent for their deal to sign Ricky Ravenhill from Doncaster collapsing. A statement on the official site claims the deal was not acceptable to Chester, 12 days after they confirmed his signing: "Much consideration has been made over the matter and Chester City have reached the conclusion that the costs of the deal over 2 years outweighted the longer term benefits and as such was not in our best interests. "Issues with the players agent have also contributed to the collaspse of the move, which would say has no inference of bad feeling to Doncaster Rovers or the player concerned." Meanwhile, boss Mark Wright has admitted that new keeper Jon Danby isn't ready for the new season: "We're trying to get Jon to go out to a few Premiership sides to get some coaching. He needs to work on a couple of things and we haven't got a goalkeeping coach, so it's difficult for him." Chester are still looking for a second keeper after losing both Wayne Brown and Chris MacKenzie in the summer, and are giving a trial to Polish stopper Wojtek Kaczmarek.